The Valencian Community, or Comunitat Valenciana in the local language, stretches over more than 500 km of sunny Spanish coastline. High, craggy mountains run along the western edge of the province, leaving only a small, flat strip along the Mediterranean coast. This coast is dotted with great Spanish coastal towns from Valencia itself to beach hotspots like Alicante, Torrevieja, Gandia and the quintessential tourist resort at Benidorm. Valencian is recognized as a separate nationality under the Spanish constitution; its language, which is similar to Catalan, is an official regional language. Most of the region’s population of just over 5 million inhabitants is concentrated in the urban and tourist centers along the coast. Valencia is Spain’s third largest urban center, with about 1.5 million residents. The area around Alicante-Eix/Elche has about 785,000 people, and the Castellón de la Plana metro area comes in third with a population of just under 400,000. In ancient times, the inhabitants of this coastal region were the Iberians who gave the peninsula its name. They became well-integrated into the Roman Empire through commerce with other Mediterranean societies. One of the most important and famous pieces of ancient Iberian sculpture, the Lady of Elche, a bust of a woman in an ornate headdress dating from around the Fourth century, comes from this region and reflects these Hellenistic influences. The area fell under Muslim rule starting in the Eighth century, but didn’t develop urban areas of real importance until the medieval period. In the 13th century, King Jaime I of Aragon brought the re-conquest to Valencia and incorporated the Kingdom of Valencia under the Crown of Aragon. Though Muslim residents remained, Christian immigrants were also brought in from Catalonia and Aragon, and the Inquisition was active in forced conversion. The next couple of centuries ushered in a “golden age” of Mediterranean trade that brought prosperity to the coastal towns.At one point, Valencia swelled to be the second largest city on the peninsula after Muslim Granada. The age culminated with the union of the crowns of Aragon and Castille through the marriage of Ferdinand and Isabella. After the European discovery of America, the region saw a decline in importance as the Atlantic ports dominated over Mediterranean. Pirate attacks along the coast also weakened commercial power, and the population diminished significantly with the expulsion in 1609 of the descendants of Muslim residents (who had been forced to convert to Christianity, but were always treated as a suspect group). 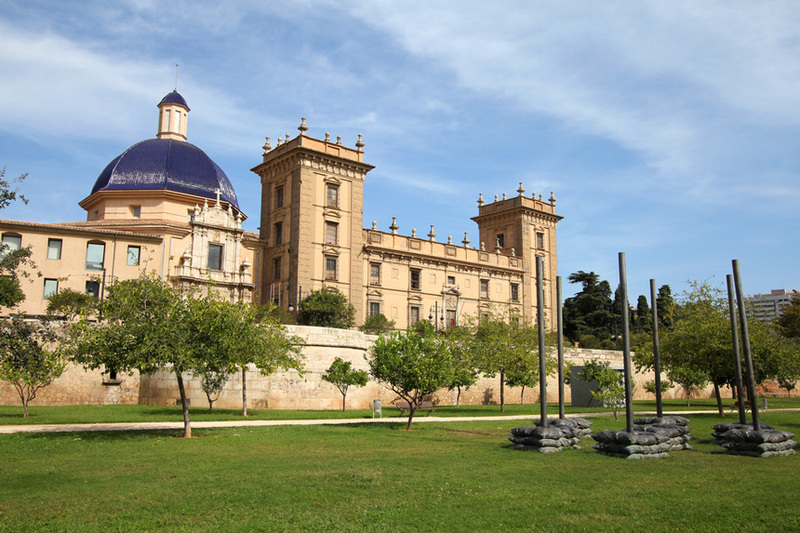 The region grew in the 18th and 19th centuries, with some industrialization, especially around Sagunto and Alcoy. Agriculture spread and Valencia became especially known for its oranges, almonds, rice (the basis of its famous paella) and vineyards. As with other regions in Spain, the era of the Second Republic and the beginning of the 20th century saw rumblings of nationalism, when people began to assert a separate Valencian identity. The current autonomous region was formed in 1977 during the transition to democracy after the death of Francisco Franco, and the regional government as it now exists, the Generalitat Valenciana, was first formed by the Statue of Autonomy of 1982. The most famous festival in the region has to be Las Fallas, in Valencia. Building up to March 19, Saint Joseph’s Day, groups in the city spend months designing and creating towering sculptures of paper and wax. The works of art depict current events, lambaste politicians and public figures or celebrate local culture. After much revelry, lots of fire crackers, bonfires, and more bonfires, the sculptures are burned to the ground. The cremá, the final bonfire, burns in the central plaza, where thousands of people crowd to see the fiery display. Valencians seem to like fire, and many communities put on similar, smaller bonfire-type festivities for Saint John (Sant Joan’s) Night, which falls on June 24, right around midsummer’s eve. It’s especially big in Alicante, where it’s the city’s biggest festival and is combined with beauty pageants and bull-fights. The tomatina – the great tomato battle – is another quirky event held every August in the little town of Buñol during its local festivities. During one strictly enforced hour of tomato-hurtling, it is estimated that party-goers splat each other with about 90,000 tomatoes. Any good Valencian festival is accompanied by what may be the Spanish national dish: paella. You might happen upon a giant, meter-wide paella dish bubbling away over a bonfire in the middle of a street during Las Fallas or another local celebration. Paella comes in many varieties, but the most typical will mix vegetables and seafood with rabbit or chicken. To wash that paella down, try some horchata, or orxata in Valencian. The drink has its origins in the ancient Arab culture of Valencia where it is traditionally made from little chufas (the nut of a type of sedge). Agua de Valencia (Valencian Water) is a more contemporary creation, a cocktail created by a Valencian barman in the 1950s comprising cava (or champagne), orange juice, vodka and gin, and now popularly served in copious pitchers around the city. And for dessert, the Valencian region’s lasting contribution to Spain (and dentist’s pockets everywhere) is turrón, an almond-based nougat that can be crunchy, sticky, hard, soft or chewy. Some brands, like that from Xixona, near Alicante, are ubiquitous, especially at Christmastime. The Valencian Community’s beaches attract sun-worshippers from the world over. Tourism is the major industry, and expat communities abound, from students to retirees from rainier lands. This gives the cities a foreigner-friendly, cosmopolitan feeling, but they verge on the becoming overdeveloped tourist traps in spots. If you’re looking for undiscovered corners of Spain you’ll have a tough time here. If you’re looking for sun, beautiful coasts, vibrancy and European energy, you’ll feel right at home. About 15% of the registered population is foreign born, above the national average of 9% to 10%. Going down to the beach destination of Alicante, the proportion of foreigners rises to over 20%, while Valencia itself has around 10%. In the coastal areas, you’ll mainly find northern Europeans, like the British (especially in Torrevieja), the Germans and Scandinavians, who sometimes outnumber native Spaniards in certain coastal towns. There should be no shortage of English-speaking rental agents and imported Irish pubs. If you want sun and beaches, you’ve come to the right bit of Spain. If you want to be immersed in a pure “deep Spain” experience, perhaps not. On the plus side, you won’t need as much Spanish language proficiency to get by here,. On the downside, you may never learn Spanish (as locals lament of certain well-entrenched expats firmly ensconced in their expat bubbles). This is not to say it’s impossible, just that it will take more discipline on your part, and may go slower than in other “sink or swim” regions. Of course, if you like a tourist environment, with people dropping in from all over the world, this stretch of coast will be your cup of tea. 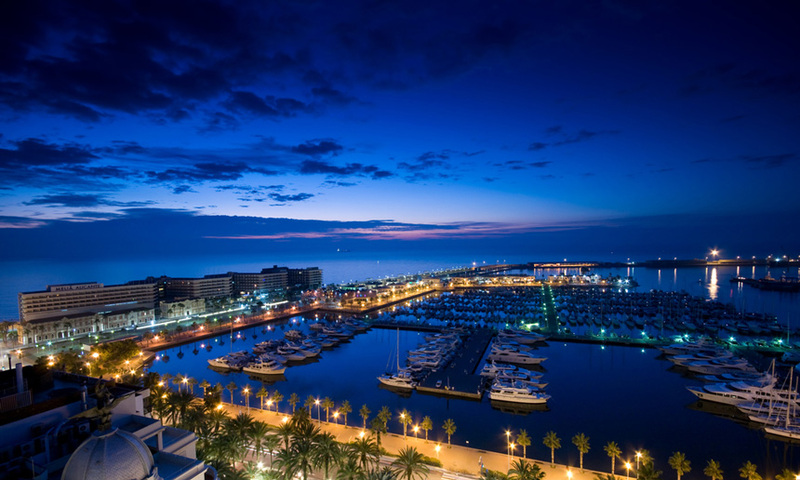 Torrevieja, in particular, is known as a bit of a British enclave, and may be a good starting point for those with limited Spanish language skills. As a base of operations, a highly-trafficked area such as this provides ample modes of escape. From Valecnia and other big cities, such as Alicante, flights leave regularly to get you out and exploring. Trains run often to major Spanish cities (though the high speed trains have not reached this region) and buses are cheap and efficient as well. 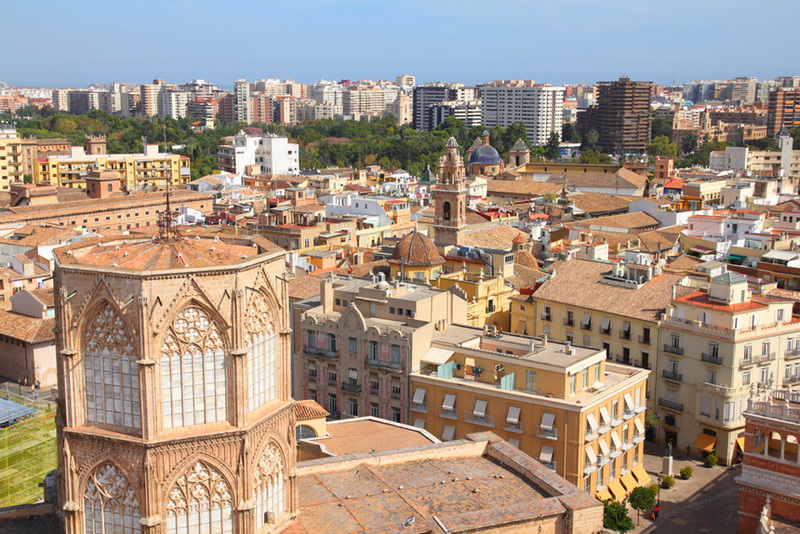 If you’re looking for normal “Spanish” life, Valencia is less expat-drenched, but still has access to great beaches and sunshine and to fabulous Spanish traditions and culture. As for cost of living, in Valencia a rented room could set you back €200-€350, while a two-bedroom apartment will run from € 500-€700, considerably less than in Madrid or Barcelona. In Alicante, the price range is similar, though (as in any such beach town) the tourist- and expat-oriented properties can be much more expensive. Research your options and go where the locals go if you want to live frugally. Transport in most cities in the region is cheap and reliable. 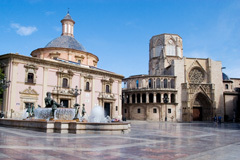 Valencia has a small, four-line metro system as well as buses, and Alicante has buses and a new tram system serving various parts of the city and suburbs. Airports in Valencia and Alicante are connected to city centers by public transport as are their main train stations. If you’re looking to work in the region’s tourism industry, in bars, hotels or hostels, you have some of choices, most notably Alicante, the skyscraper-bedecked coastline at Benidorm, and Torrevieja for starters. It will be easier to find work in these areas during high season, and jobs may become scarce when the tourist flocks drop off for the winter. Give yourself time to save up money and hunt around for other options if you plan to stay past the summer. Though this is an expat-heavy area, some knowledge of Spanish is preferable, and will give you a distinct advantage, as even Irish pubs have Spanish patrons. 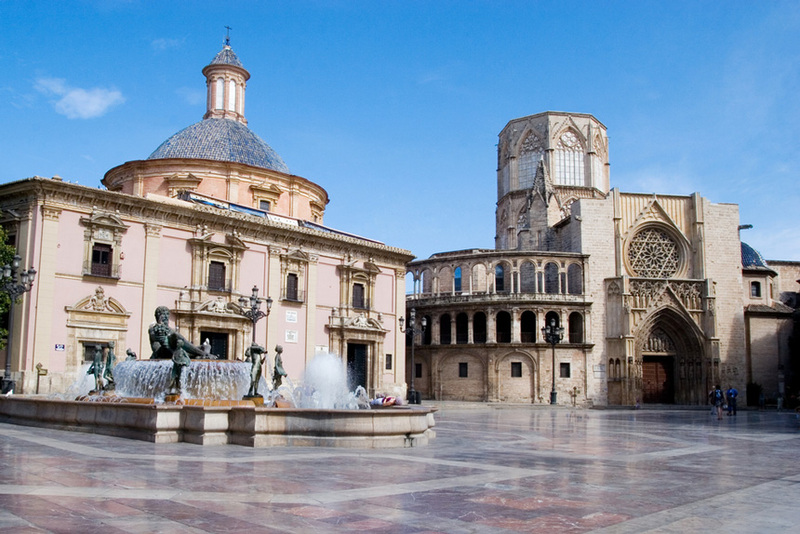 Teaching English is always an option, especially in Valencia itself, and it’s possible to enjoy a comfortable life in the city giving classes. This may be the perfect region to follow the rhythms of the region’s commerce, teaching during the school year and working at the beach bars and restaurants in the summer. If you look outside of English teaching, give yourself plenty of time, as Spain’s unemployment is high, and you’ll be competing against native Spanish-speakers. 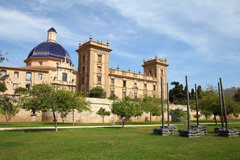 3) The Palm Grove of Elche, a UNESCO World Heritage Site and Europe’s only palm forest. 4) City of Arts and Sciences in Valencia, a complex that includes a science museum, aquarium and IMAX theater.